Rank and File finds us sorting through an exhaustive, comprehensive body of work or collection of pop-culture artifacts. 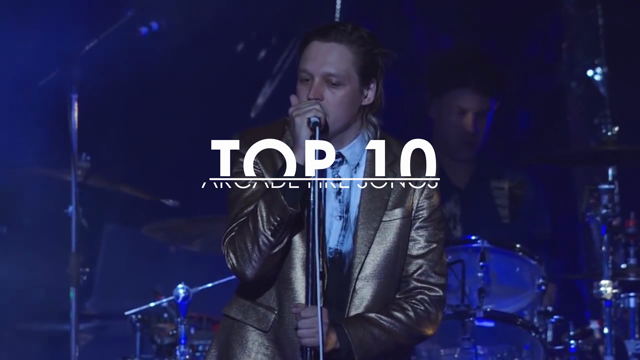 This time, we celebrate Arcade Fire’s entire catalogue by revisiting all 79 of their anthems. From the very first notes of their debut album — those gleaming wind-chime like synths, the chugging guitar, the regal piano — Arcade Fire became one of those remarkably few life-changing, era-defining bands in indie rock history. Their songs soared, creaked, ached, and roared, breathing vibrant, triumphant life and passion. For nearly a decade and a half, the Montreal-based band have continued to push and challenge themselves, drawing from their own confrontation with personal crisis and giving us access to things we might have been ignoring within our own lives. But always retaining the emotional core, their “us against the world” anthems, and their arena-propelling hooks. Retaining the title of indie champion is a difficult thing, however, and on the back of less-than-stellar reports of their soon-to-be-released fifth album (and a since-refuted dress code for their live show, not to mention the increasingly noxious marketing campaign), the naysayers have turned out in full force. Though we won’t be ranking the songs of Everything Now particularly high on this list, to write off the album, let alone the band’s catalogue as a whole, would be a serious mistake. In fact, looking at their entire catalogue reveals the commonalities between the satirical maximalism of Everything Now and their austere debut Funeral and everything in between. There are so many themes, tropes, and sounds that have recurred over the years, tying everything together in one grand package. It’s certainly been a joy unraveling it.